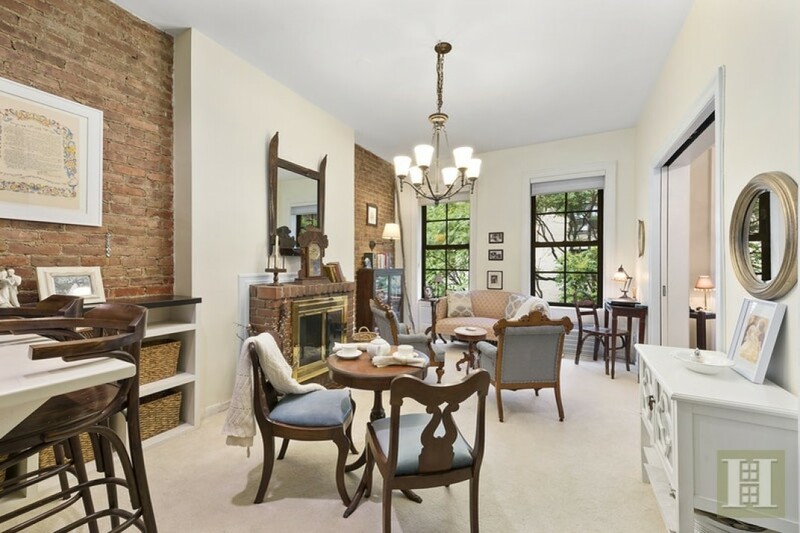 Two exposed brick walls and a matching working brick fireplace add to the appeal of this two-bedroom, two bathroom duplex co-op in a brownstone at 146 West 80th St. It's yours for $1.150 million. 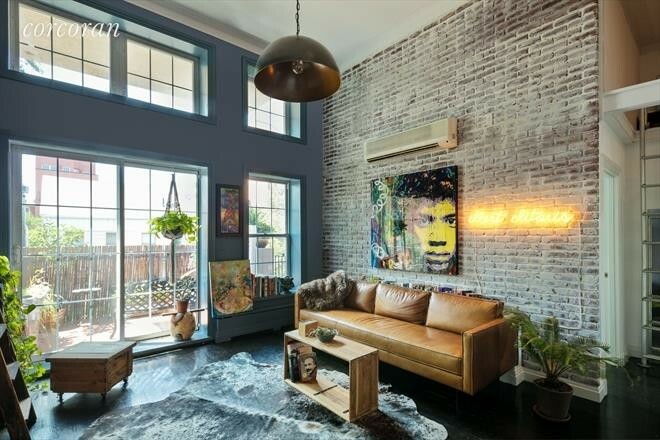 Exposed brick adds a rough-hewn charm to a space that's impossible to replicate with paint or paper. 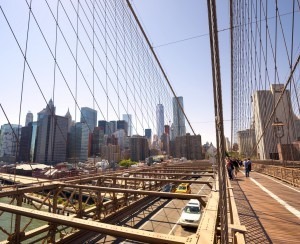 Here are five examples driving the point home. 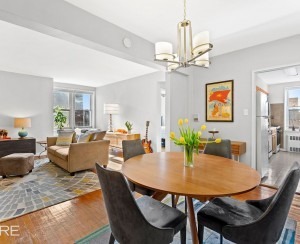 In a studio co-op at 332 East 77th St. priced at $379,000, an expanse of exposed brick is balanced with a clean white wall for an open, airy feel. 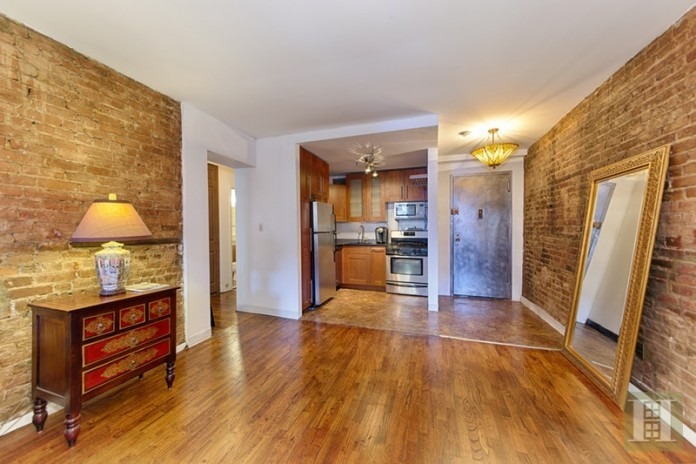 A three-bedroom, two-and-a-half-bath rental in a former church at 163 North 6th St. in Williamsburg is listed at $6,500 a month. 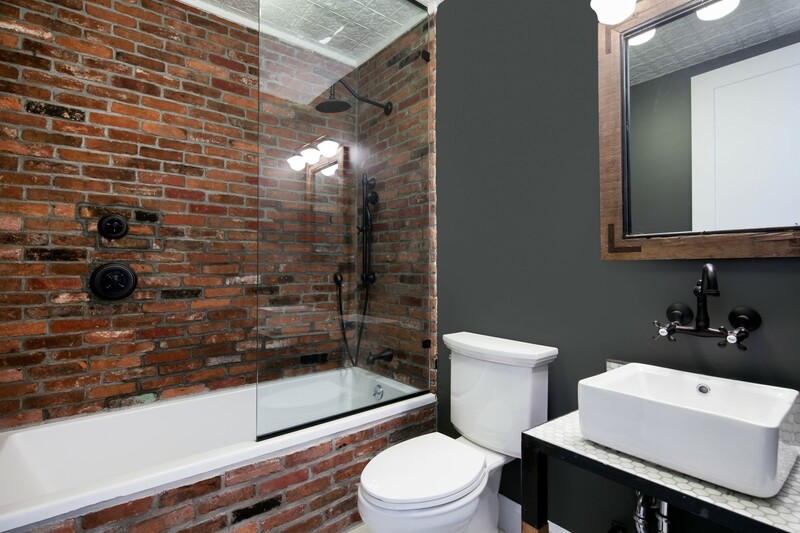 It features original exposed brick in the bedrooms, living room and—most unusually—the bathroom. Exposed brick walls in the living/dining and bedroom complement the hardwood floors and lend a warm and cozy feel to this one-bedroom, one-bath co-op at 410 West 23rd St. in Chelsea. 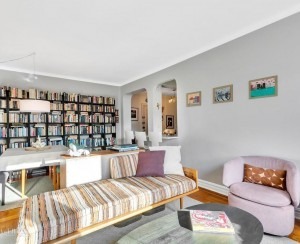 It's on the market for $799,000. 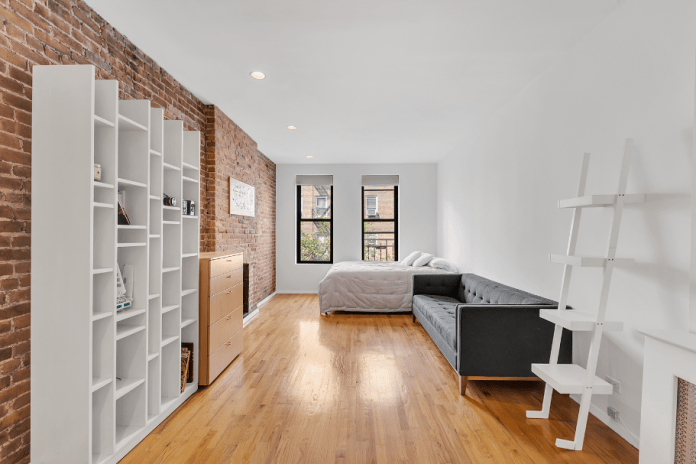 Finally, in Greenpoint, a one-bedroom, one-bath condo at 216 Eckford St. includes a living room with one impressively tall exposed brick wall for a shot of industrial style.